Angel funded Argentinian winemaking superstar! With Angel funding he was able to increase his production and plough more time and energy into making delicious wines exclusively for you! "I was ready to start studying to become a doctor when some people from the School of Enology came to give us a talk about the degree in enology and I fell in love with it. At first, my family, above all my mother, was not happy because at that time the profession was not as important as it is today! But now they are grateful I made that choice. Why did I embark on my personal project and create my own vineyard? When I was at Finca La Celia, I suggested we elaborate a Cabernet Franc but the managers said no. Nevertheless, I manage to elaborate it anyway, buy the bottles, corks, etc. and we bottled 12000 bottles. One day, when we were tasting the wines with our importer of Switzerland, I offered it to them and they loved it and decided to buy all the bottles. The managers, who were there and found out about the wine at that moment, had to admit that it was an excellent wine. This Cabernet Franc received a lot of awards. This kind of event made me decided to become independent and devote to my personal project. If I wasn't working in the wine Industry, I can imagine myself doing nothing else! I can't imagine not working with wines, even though once I seriously consider to study to become a doctor. For me, the finest moment is when I actually make the wine, when I define the final blend. Also, to be in the winery during harvest time. I really don't care about awards or reviews. I prefer to receive good reviews or appreciation from the consumers. 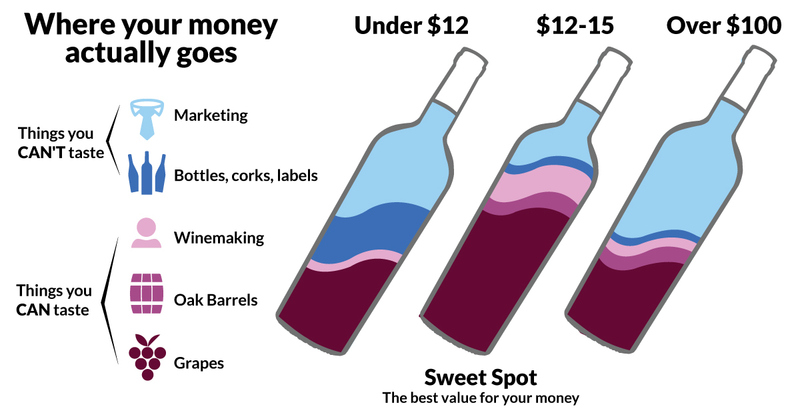 I'd really love not to have to earn money to be able to keep the winery running and producing wines. I'd love to focus only on the wines and not the businesses."